AT CRS CRANESYSTEMS, WE DON’T JUST BUILD AND MAINTAIN CRANES, WE BUILD RELATIONSHIPS. Established as an overhead bridge crane service and maintenance company in 1991, CRS thrived by partnering with some of Canada’s major oil sands mining and processing companies. With a goal of being able to meet all of its clients’ overhead lifting and servicing needs, CRS management decided to add a manufacturing division in 1998. The expansion helped position CRS as a one-stopshop in the overhead bridge crane industry. Management and staff at CRS are completely customer orientated. 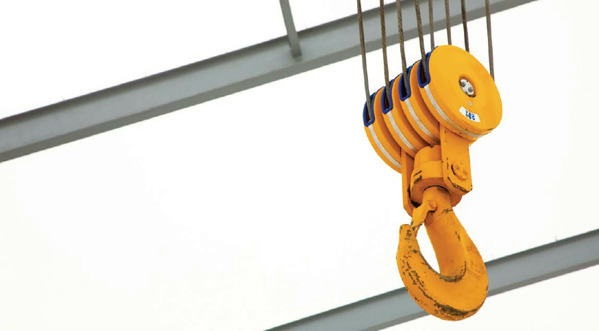 Rather than using a cookie-cutter approach, we shape our lifting solutions to meet your needs. Our goal is to consistently deliver innovative and safe solutions that increase productivity and profitability – on time, on budget. Our “can-do” attitude has allowed us to work in sectors as complex, diverse and challenging as forestry, mining, construction, oil and gas, and power generation. We now produce more than 250 cranes annually with capacities ranging from one to 300 tonnes. As one of North America’s leading crane manufacturers, we have opened branches in Northern Alberta, Edmonton, Calgary, Vancouver and Toronto. We are lift experts, who are ready to respond promptly and provide advice on the best solutions for your lifting needs.